“Rock for the Walk” will take place at The Met and will be a night of rock and roll – a fabulous party with dancing, mingling and classic Manitoba social fare. The featured band is “Malpractice” a group of rock and roll doctors from across Canada, led by Manitoba’s own Dr. Darrel Drachenberg. He is not only a leading urological surgeon and avid supporter of the Walk, but a very talented musician. Bladder Cancer is severely underfunded in Manitoba. Notably, Bladder Cancer is the 5th most common cancer in Canada and yet 19th in terms of funding. Funds are desperately needed for new research, early detection and better treatment. The only fundraising event held in Manitoba for bladder cancer patients is an annual Bladder Cancer Walk. Our committee, led by bladder cancer patients themselves, is out to change that with a new initiative we have dubbed “ROCK FOR THE WALK” taking place on Friday, September 16th, 2016 in support of the Walk on Sunday, September 25th, 2016. The goal is to raise additional funds for the cause, and generate greater awareness for both bladder cancer and the Walk. There are also a limited number of VIP “Backstage” passes priced at $125 which include a private reception to “meet the band,” with food stations and a complimentary champagne from 7:00 p.m. to 9:00 pm, followed with a reserved VIP area at the rock show. Thank you and for those about rock - we salute you!! Bladder Cancer Canada, founded in September 2009, is the first and only Canadian patient organization dedicated to bladder cancer issues. 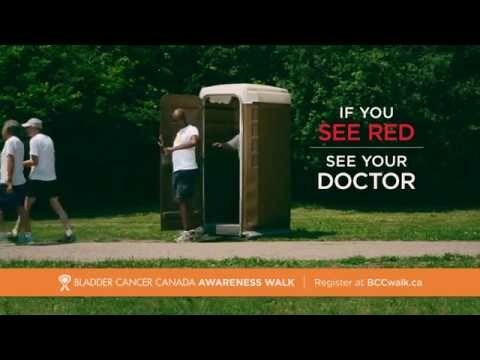 Bladder Cancer Canada is a Canadian registered charitable non-profit corporation.